A beautiful shock of colour against the white rendered wall – the airy grasses are a nice, modern touch. Lovely colour combination. They are so pretty. 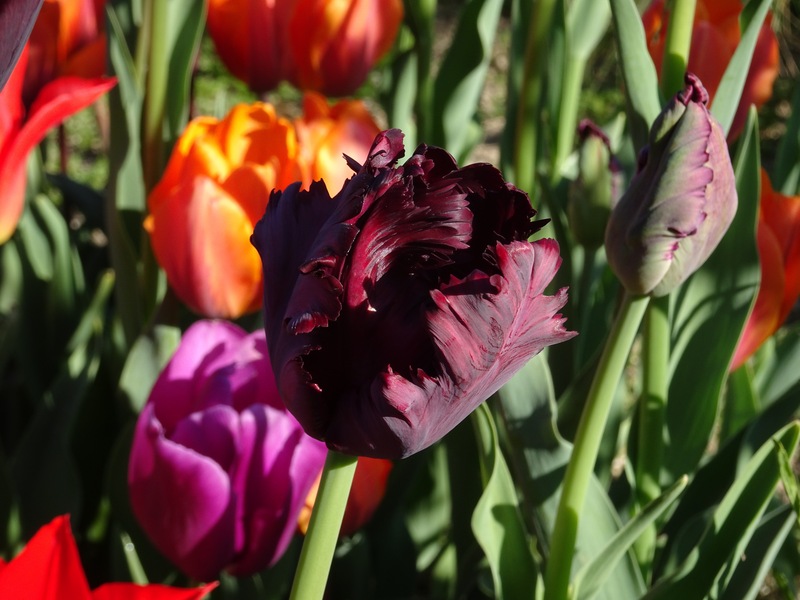 We are all posting tulips, there are so many beautiful ones to choose from. Ours are about two weeks early, are yours? Sorry for late response! Yes, ours were about two weeks early too, Brian. All almost over now, sadly. Thanks, Jane. They really stand out against the wall. So lovely and ‘wildy’ looking! 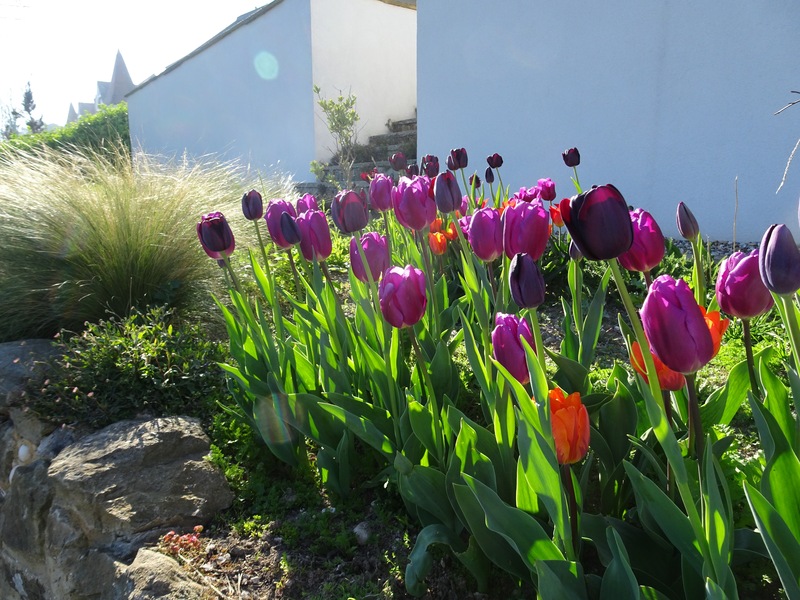 Tulips can do everything, can’t they? I’m intending (being the key word here!) to dig them up and dot them through this border with grasses for next year. They were planted in a rush in a big trench all together last November so I’m delighted with how they’ve flowered. I like the tulip pictures. I live in Colorado and my tulips came and are already wilting. 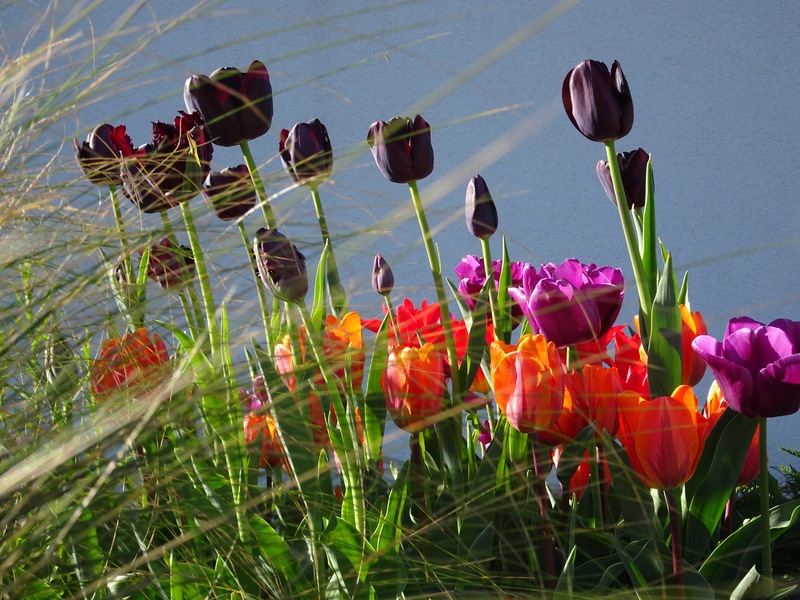 I recieve a Holland catatlog about many flowers but tulips are their specialty and the acres and acres of tulips makes me wish I had more room to plant them. Marvellous … my kind of colours too!